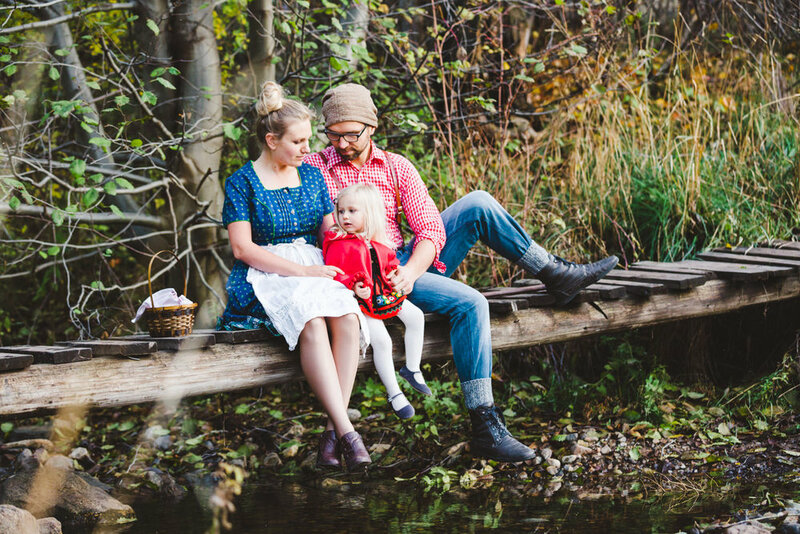 Halloween is one of my favourites so I was absolutely thrilled for this Kelowna halloween family photography session. This session was all about the magic of childhood imagination. 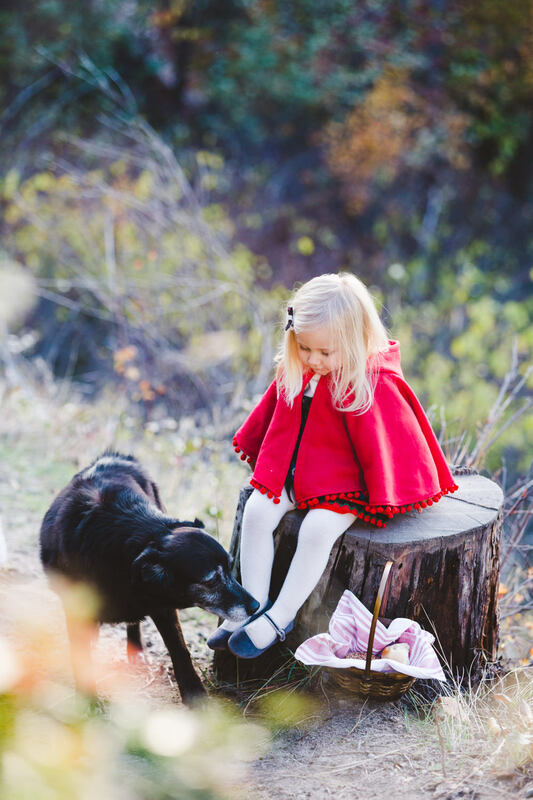 It started out with the family reading Little Red Riding Hood together and then the story became a reality as they took off an an adventure together through the forest dressed as the characters from the book. 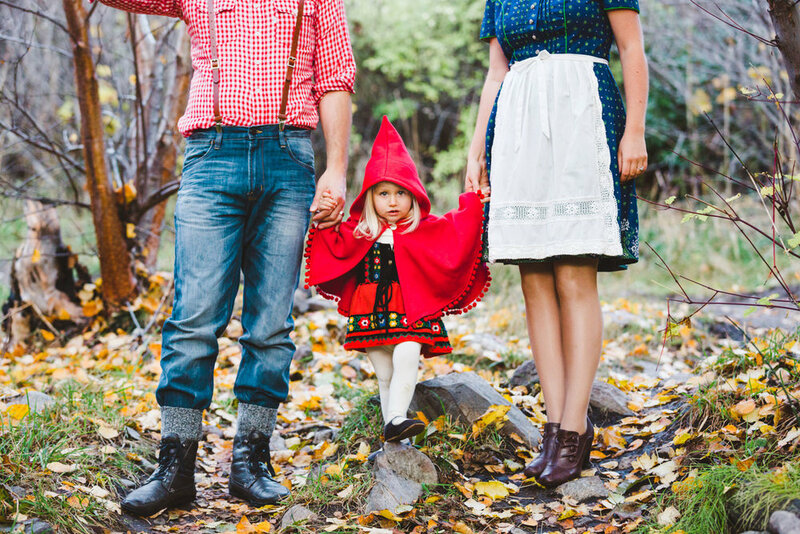 Dad was The Woodcutter, mom was the Granny, little miss was Red Ridding Hood and their doggie was The Wolf. 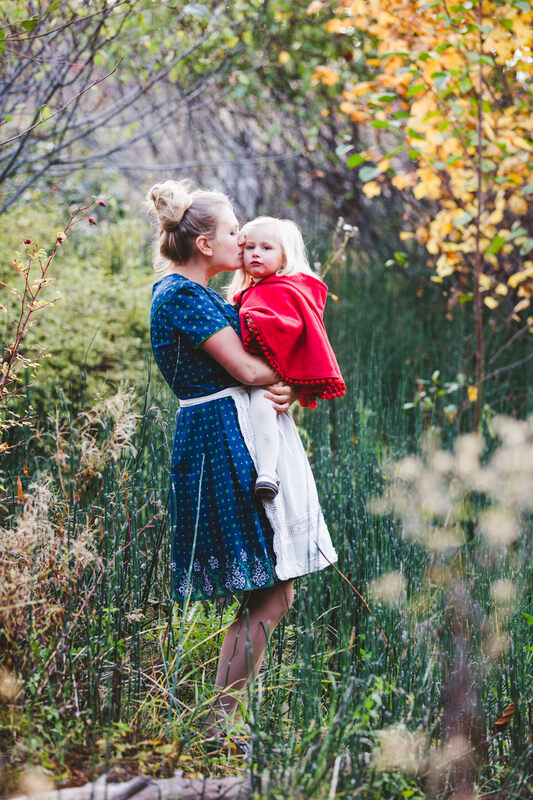 We frolicked along and got some seriously adorable photos.